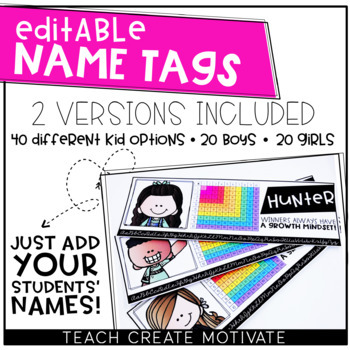 These name tags are a bright and cheery way to motivate your students while reminding them of skills and strategies. There are 2 versions included. Each version has 20 boy options and 20 girl options. 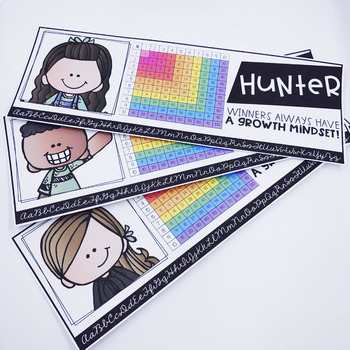 All name tags have the quote: Winners always have a growth mindset! Both versions have BLANK photo options for you to add your own clipart or pictures.